Earlier this year I was elected President of Crystal’s Economic Development Authority (EDA). I wanted to provide an update for you on what the EDA will be up to in 2017. Before we start, I want to explain what the EDA is. The EDA has 7 members, and is made up of the city council, but is technically a different organization. Whereas the mayor presides over council meetings, the EDA elects officers (President, Vice President, Treasurer) from its membership. State law allows cities to create EDAs for the purposes of supporting economic development in their cities, and Crystal has had an EDA for many years. The EDA has it’s own budget, and taxing authority. On your tax statement, there’s a line that says “other special taxing districts” – the EDA’s levy is in there. The total levy amount is small (about $200,000) compared to the city’s levy (~$9 million). 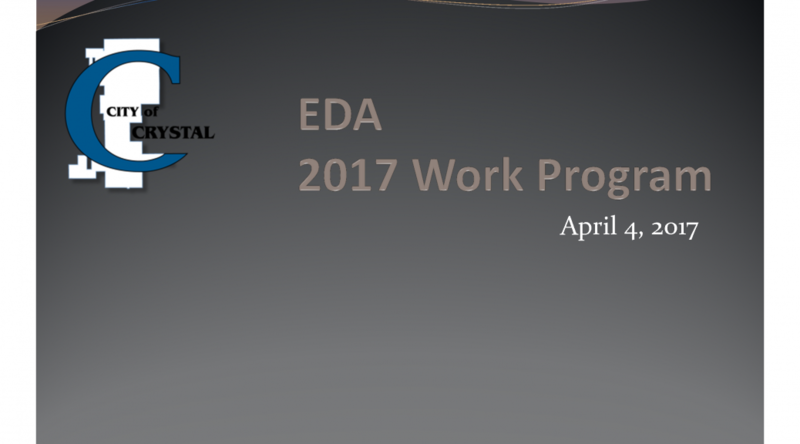 The EDA operates several ongoing programs- these are things that go on from year to year. The most visible is the scattered site redevelopment program, in which the EDA acquires blighted properties, knocks down the houses, and then sells the lots for new homes. The good news is that our lots are a hot commodity, and we think we’ll sell most of the remaining inventory this year. The flip side, which isn’t really bad news, is that there aren’t really any lots to buy right now, because the real estate market is strong and private buyers are rehabbing properties. 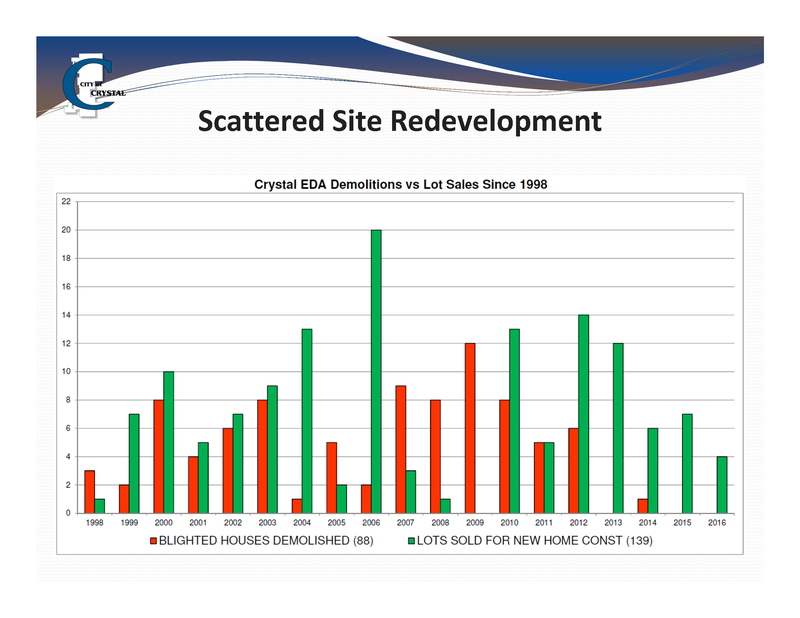 You can see that during the bad years of the recession, the EDA bought a bunch of lots, and as things have improved, the lots have been selling. The other ongoing programs are different variations of home improvement incentives and programs. These are the Housing Resource Center, Home Improvement Rebates, the Community Fix-Up Fund, and Deferred Home Improvement Loans. I won’t go into details of all of these here. If you want more info, check out this presentation. In addition to the ongoing programs, the EDA also tackles a number of special projects. These vary from year to year. I’m very excited about the projects we have in store for 2017-2018. Early this year, the EDA met to talk about what we are calling “opportunity areas” within the city. These are the commercial corridors that are in need of a bit of TLC. For each of the areas, we talked about what we liked, what we didn’t and discussed strategies for improving these areas. At the end, we created a list of priorities, and will begin working on them a little bit in 2017, and more in 2018 and beyond. The discussion really helped frame what the EDA’s strategy and focus will be over the next few years. 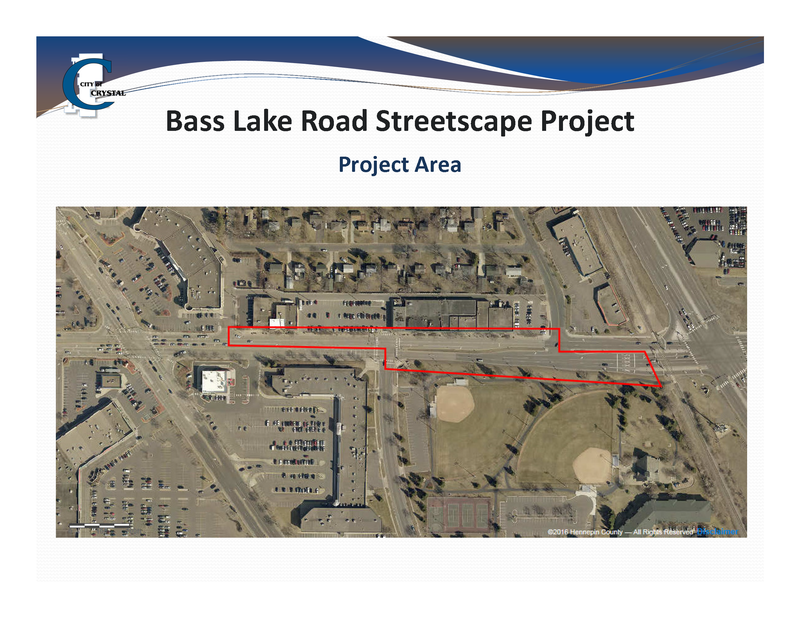 One major project the EDA will be tackling in 2017 is improvements to the streetscape along Bass Lake Road. We’ll be adding on-street parking on the north side for sure, and the south side if the design allows. The big (ugly) concrete planters will go, and the landscaping will be refreshed. We’ll be sprucing up the sidewalks and adding bike parking on the north side of the street. On the south side, we’ll be relocating the walking path in Becker Park along the street to make the entire area more pedestrian friendly, and to tie the park better into the rest of the city. 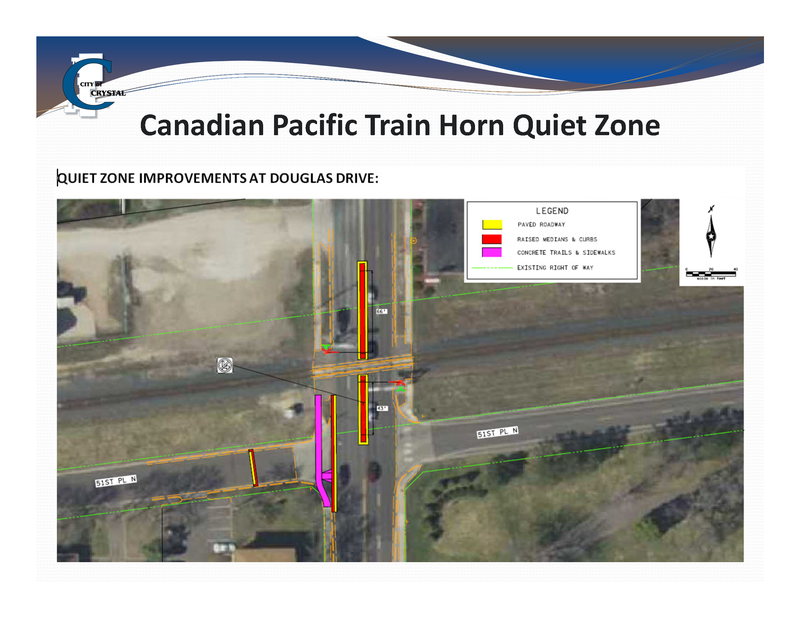 A project that has been a long time coming, but will finally happen this year, is the establishment of a railroad quiet zone at the Canadian Pacific crossings at Douglas Drive and West Broadway. 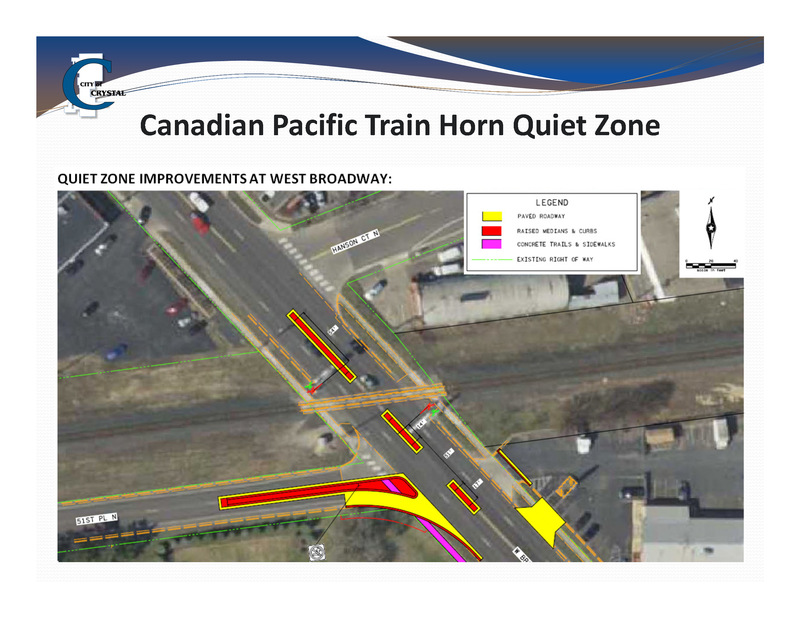 What this means is that residents along the CP corridor (and everyone in Crystal) will hear fewer train horns as trains go through the city. With the increased rail traffic in recent years, this will be a very welcome livability improvement for residents of the city. While this doesn’t exactly count as a “major” project, it qualifies as an important one, and it’s one that I have been a personal champion of. We will be piloting some changes in the way we sign our community, with the goal of refreshing our image and making things look more friendly and updated. We’ll be looking at our street and neighborhood signs, and branding of our commercial areas to create a stronger identity for them. Although signs and banners may be small changes, they can have an outsized impact in creating a positive first impression as you enter the city or a neighborhood. And I’d be remiss if I didn’t take the opportunity to say that there’s no way we could tackle as much as we are doing without the support of our awesome community development staff, led by Community Development Director John Sutter. If you have any questions about the EDA, or anything else in the city, please let me know!